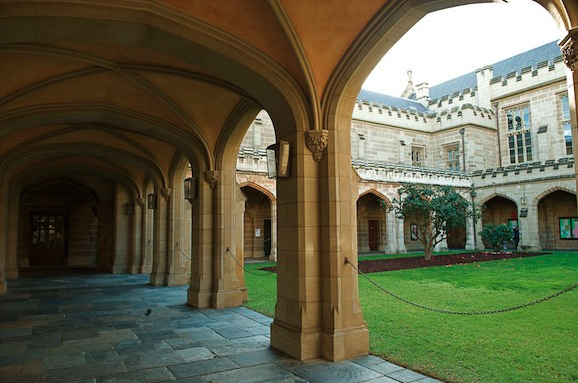 The University of Melbourne has recorded a significant achievement, moving up one place to 31 in the 2016 Performance of Scientific Papers for World Universities released today by National Taiwan University (NTU). Once again, the University of Melbourne is also the highest-placed Australian university in the rankings of nearly 500 universities worldwide. Formerly known as the HEEACT Ranking, the program provides annual performance rankings of universities around the world based on their production and impact of scientific papers. The rankings reflect three major research performance criteria – productivity, impact and excellence. University of Melbourne Vice-Chancellor Glyn Davis welcomed the NTU rankings as “pleasing” especially since they came after a number of positive rankings for the University internationally in 2016. "That the result also show a noticeable improvement in 10 of our disciplines that are captured in these rankings is also good news, and a testament to the breadth and depth of our research and teaching commitments at Melbourne," Professor Davis said. For more information about the rankings visit the NTU ranking website.